ZoÃ« is currently a Lincoln Center Stage artist, playing first violin in a piano quintet. She is a substitute for New World Symphony, and Symphoria (formerly the Syracuse Symphony). Later this summer, she will be a member of the Britt Festival Fellowship Quartet. She has received scholarships to attend the Aspen Music Festival and School, the Kent/Blossom Music Festival, the Florentia Consort in Florence, Italy, Festival Napa Valley in California, and the Sierra Academy of Music, with the Felici Piano Trio, also in California. 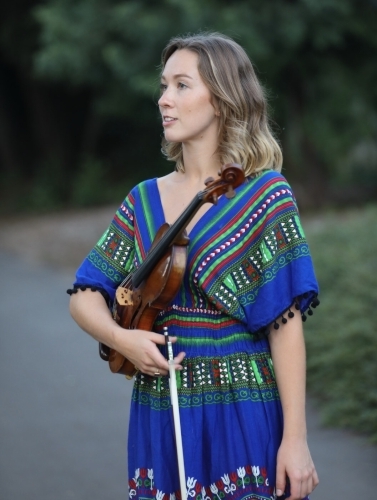 She received her MM in 2018 from the Eastman School of Music, where she studied with Juliana Athayde, concertmaster of the Rochester Philharmonic Orchestra, and her BA in 2016 from UCLA, where she studied with Guillaume Sutre of Quatuor Ysaye/Tianjin Juilliard.